Open to all CLA members and legal professionals. The CLA hosted a special event on Thursday, January 24, 2019 from 6 to 8 p.m. We were very lucky to have be joined by one of Canada’s leading prison justice advocates, Order of Canada Member and Senator, Kim Pate. 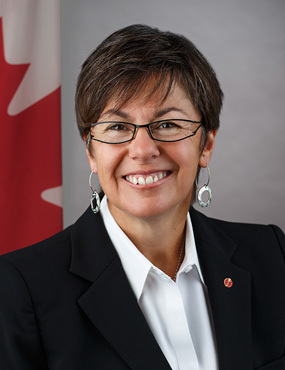 Senator Pate discussed her extensive experience working with and advocating for Canadian prisoners. Senator Pate also shared her insights into the lives and experiences of incarcerated people to assist recent calls in understanding the challenges that our clients face both during pre-trial custody, and while serving sentences. Senator Pate was interviewed by Maya Borooah, an associate at Henein Hutchison, and a Regional Advocate with the Canadian Association of Elizabeth Fry Societies. The event is sponsored by Lot 30 Brewers (http://www.lot30brewers.com), a local Toronto brewer and brew-pub. Webcast recording now available for purchase. Purchase online by going to https://members.criminallawyers.ca/event-3244656 or call the CLA office during business hours to register over the phone (Visa, Mastercard or American Express required) – 416-214-9875.